The 1032 miniature flange mount contact features a wider gap, which permits faster installation, accommodates greater misalignment, and works better on steel without time-consuming brackets. Choose the best mounting method for each application. Adhesive mounting strips and #4 mounting screws are included. 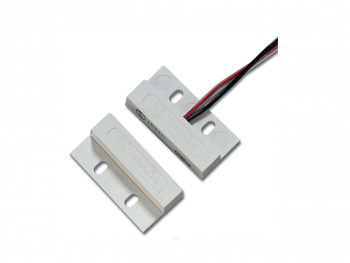 A wide gap model is available to protect against false alarms from loose-fitting doors.